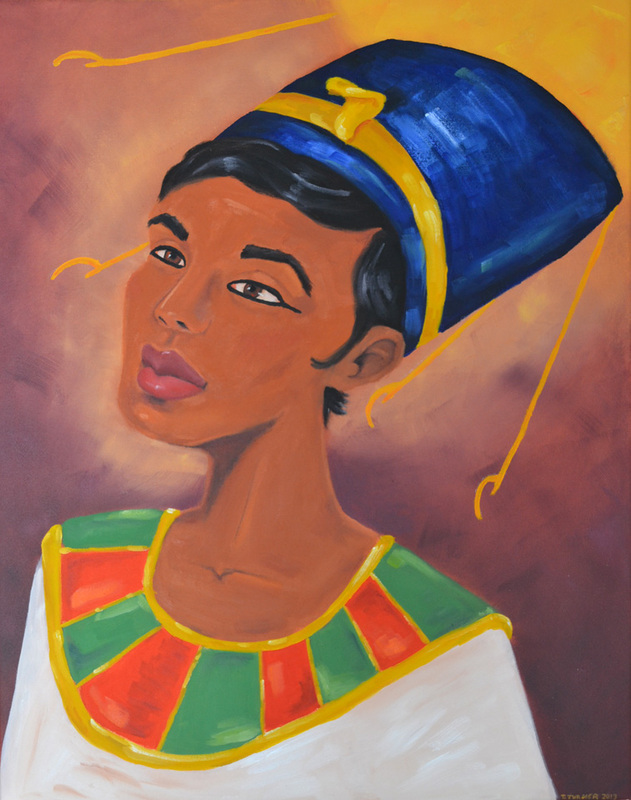 This entry was posted in My Art and tagged Amarna, Art commissions, Aten, Oil painting, Queen Nefertiti, Traci Turner by Traci Turner. Bookmark the permalink. Skin tone, cheekbones, slender neckline…all the subtle things about women that makes us so appealing. Well done! Thank you soooo much for saying that! It makes me happy to know what you see in it. Sometimes when I create, these things are haphazard…I just draw and/or paint what makes sense. Then afterwards I notice that there is some sort of purpose in the lines or details. I think it was about half and half in this piece. Half accidental, half intentional.